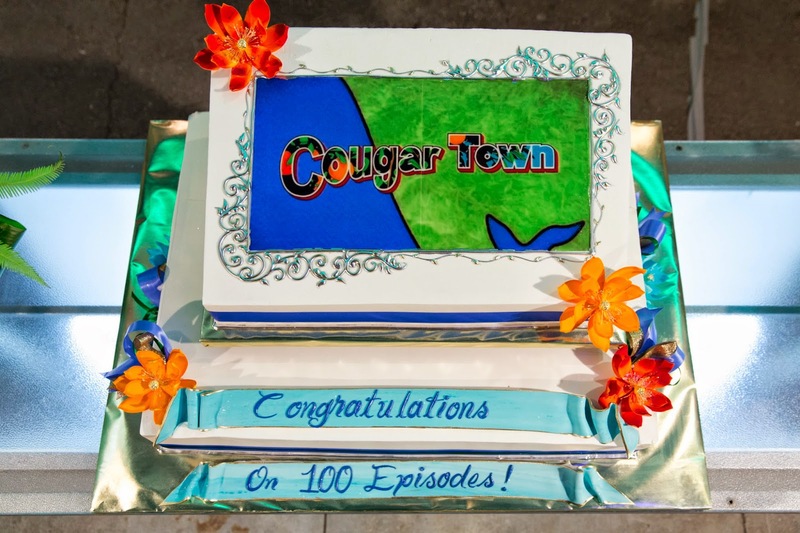 TBS comedy series 'Cougar Town' is coming to an end in January. I am pretty bummed about this. Good news is the cast celebrated last night (Nov. 19, 2014) the 100th episode(!) Check out the pictures of the cast/creators below. 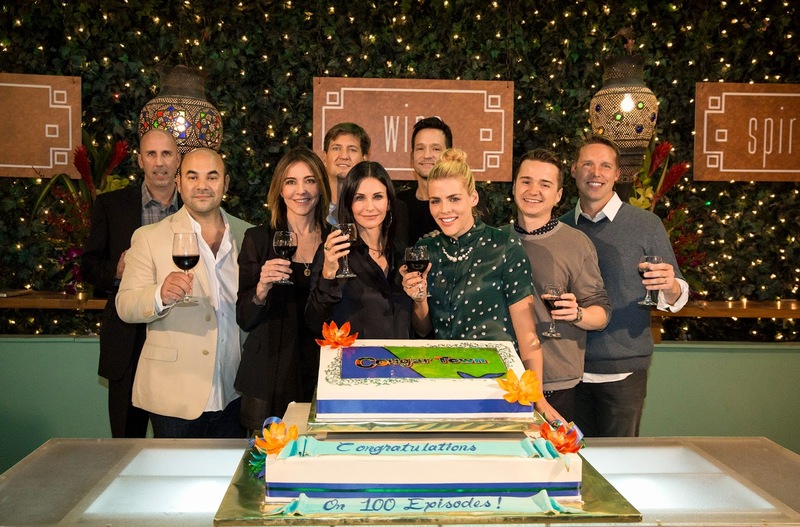 (l-r) Robert Clendenin, Ian Gomez, Christa Miller, Bill Lawrence, Courteney Cox, Josh Hopkins, Busy Philipps, Dan Byrd and Kevin Biegel celebrate the 100th episode of TBS's Cougar Town, which returns for its sixth and final season Tuesday, Jan. 6.